Over the centuries, it has been a tradition in many countries to have beings race against each other for the amusement of the onlookers. The human being probably is the only being where running in a race is a choice, not a must. As with other traditions there should come a time to think it over, to decide whether or not the tradition still is in any way useful, amusing or necessary. Dog racing is a tradition that might have been amusing and even necessary to bring some entertainment into the lives of hard working people, where hardly any other forms of entertainment were available. But in the 21st century in developed countries there are millions of ways to be entertained. Hurting other beings for amusement should no longer be called a tradition. 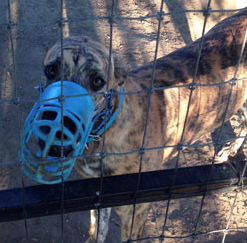 Thanks to the consistent efforts of several humane organizations, dog racing will end in Texas. As of January 1st, 2016, there will no longer be any dog track in the whole state. 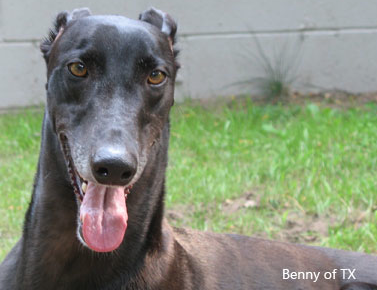 It would be wonderful if more states would follow and dog racing would become one of the obsolete traditions. Some may not believe in petitions and campaigns, saying they cannot change the fate of animals by signing and sharing these petitions. We all have read about the public outcry over the death of a lion in Zimbabwe, whose name, Cecil, has started to stand for the fight in ending cruel animal abuse, mostly ending in the death of a being who had no chance of survival. But some stories show that the international community does have a choice, and can change a life, sometimes even many lives. 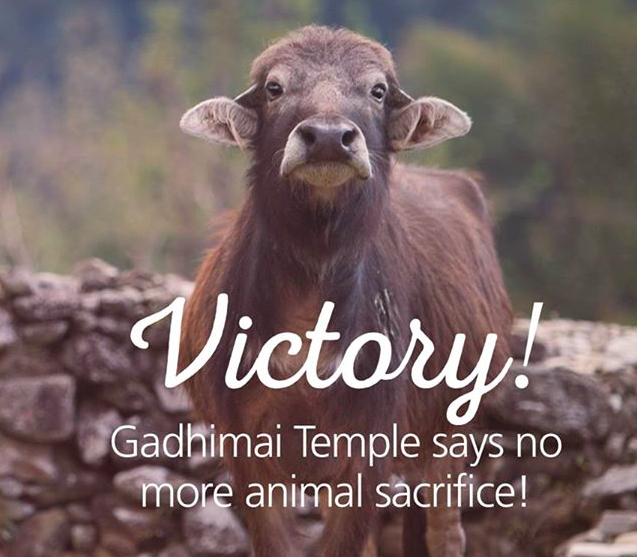 ” HSI (Humane Society International), along with Animal Welfare Network Nepal (AWNN), have successfully convinced the trustees of the Gadhimai temple in Nepal to forbid animal sacrifice at future festivals. This means that animals like water buffalo, cows, goats, chickens, pigeons and pigs will be spared a grisly death by bludgeoning or decapitation in the horrific slaughter that happens there every five years.